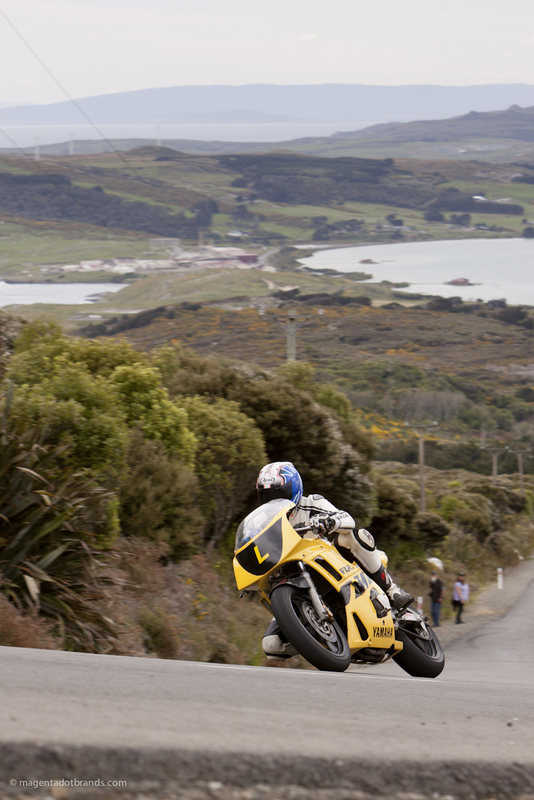 Tenth anniversary Burt Munro Challenge November 2015. This gallery features all of the riders in the Post Classic Pre ‘89 Class who competed in Bluff Promotions NZ Hill Climb Champs, Thursday 26 November 2016. 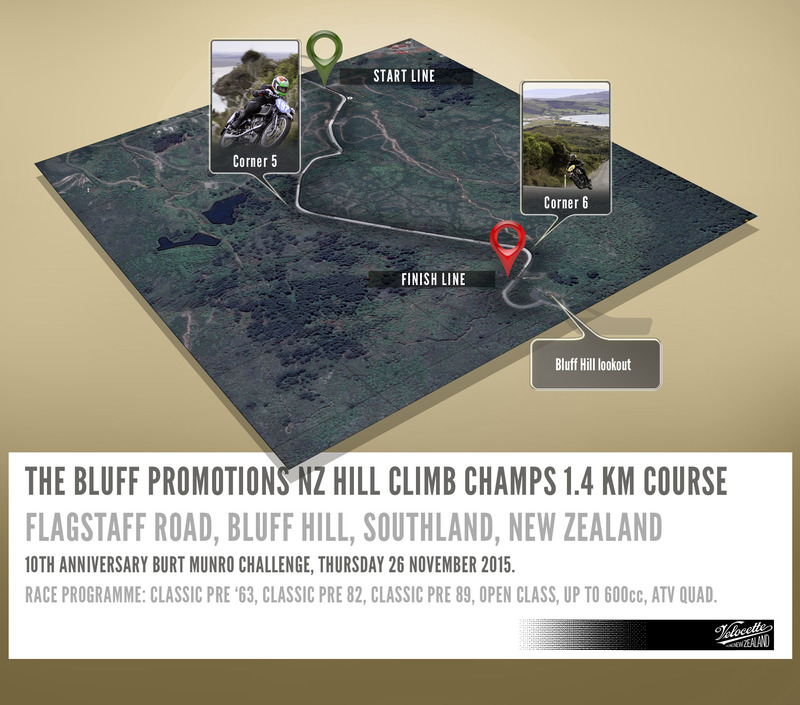 The Bluff Hillclimb is the event that kicked off the four day 2015 Burt. Doug Wood rounds the final bend aboard his 1989 Yamaha FZR 400. Classic Pre-‘89 Motorcycles were manufactured between January 1983 and December 1989. This gallery follows each bike in the class, some from three viewpoints ascending the Bluff Hill. If you enjoyed this 2015 Burt Hillclimb gallery check out the Classic Pre ‘63, Classic Pre ‘82, Open Class and Up to 600cc galleries.